Sixty years after his father left to be a mapmaker in the war in Europe, Emerson Johansson received a package that had been lost in the mail for decades. An exquisite book, lovingly handmade by his father, details an extraordinary adventure they shared together just months before his departure. Setting out into the mountains on Christmas Eve to cut a tree, they find themselves in a dangerous blizzard. 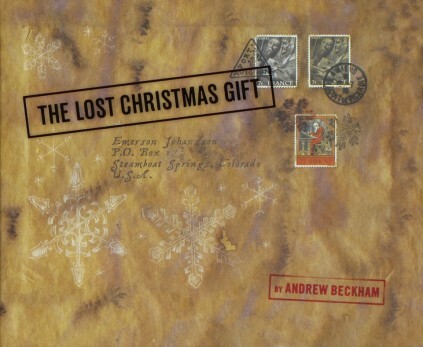 Lost in the snow, they are helped by a mysterious silvery man who does not speak but leaves them a series of gifts that help them find their way home. The enigmatic man’s image is not captured in the photographs the boy took with his new camera, pictures he believed, until now, were long lost. Little did he know that his father had taken the photographs with him to the battlefield and, drawing on vellum overlays, meticulously reconstructed, mapped, and narrated their adventure, revealing that the curious man in the woods was, in fact, no stranger, but somebody well known to us all. This book, destined to become a Christmas classic, is a faithful facsimile of the magnificent hand-crafted present Johanssons father sent him. 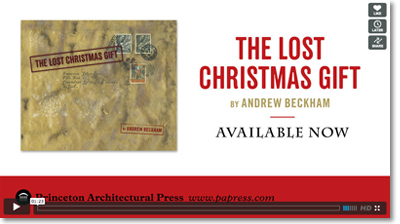 Featuring a lively combination of maps, drawings, watercolors, and photographs, The Lost Christmas Gift is a poignant reminder that the best gifts, of memory, family, and the kindness of strangers, transcend time but never our understanding.